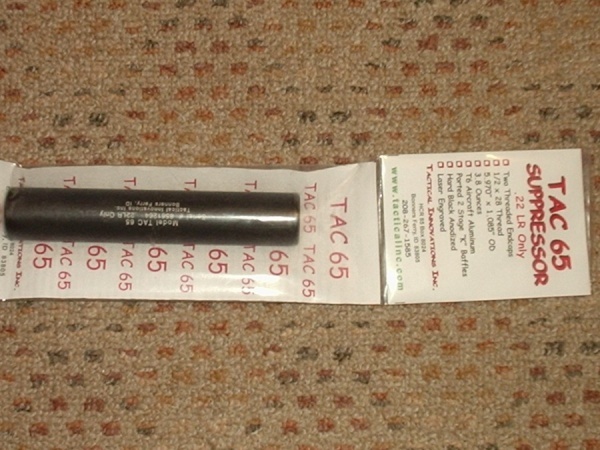 Tac 65 suppressor from Tactical Innovations. High quality equal to Gemtech, but $100 less. I have fired Walther P22s one in each hand with both types and cannot hear the difference. I have sold over 50 of these and everyone has been very satisfied. (take down tool included).